About us - 歐事達 EURODA INDUSTRIAL CO.,LTD. Introduction of Euroda Industrial Co., Ltd.
Europe - Germany, France, Spain, Italy, United Kingdom, Ireland, the Netherlands, Belgium, Switzerland, Greece, Portugal. North Europe - Denmark, Finland, Sweden, Norway. East Europe - Poland, Czech Republic, Russia, Hungary, Bulgaria, Romania, Turkey, Cyprus, Azerbaijan Republic, Ukraine, Latvia, Albania. Middle East - Syria, Saudi Arabia, Egypt, Iraq, Lebanon, Israel, Iran. Africa - Nigeria, South Africa, Morocco, Kenya. Euroda has a high leading, professional and motivated management/marketing team. We are looking forward to setting up successful business relationships with new customers around the world. We keep up to date with the global market trends and develop the new models to achieve the target of fair price for Auto Parts. In addition to existing auto models, we also listen to our overseas customers’ suggestions to develop performance body parts and meet the need of local consumption markets. We welcome customized products for OEM / ODM for overseas customers. Benefit both for people and ourselves. To Customers - Satisfy customers’ needs and bring us a win-win deal. To Our Team - Have aspiration and hope for a bright future together. To Euroda - Be professional and innovative with truthfulness. Foresight - Keeping progressing is our principle. We pay attention to our customers’ requests and predict the market demands. 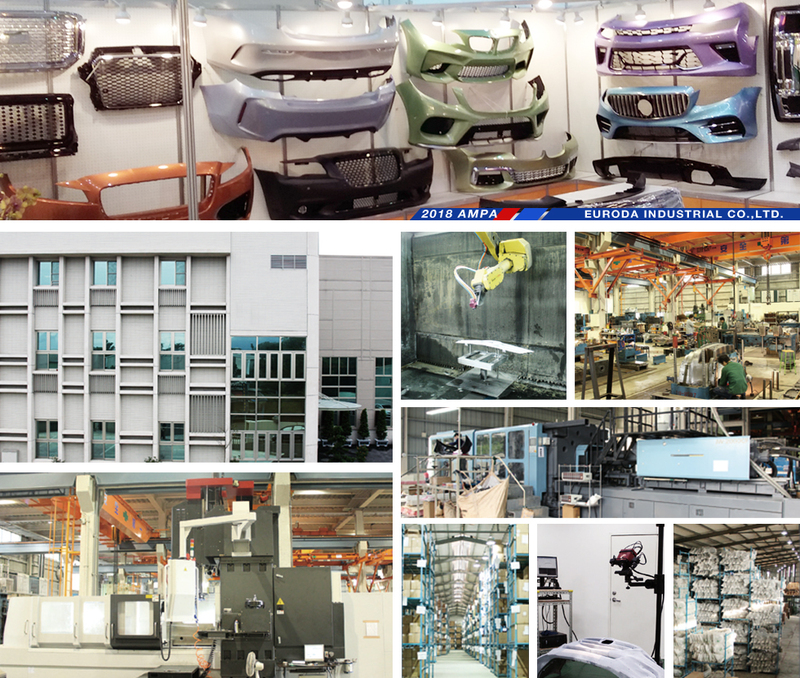 Innovation - Research new auto models’ parts and develop new parts designs, also an excellent and market-sensitive team. Speed - Notice the demand of worldwide market, Speed up the research and development to launch new products and have a win-win for all.